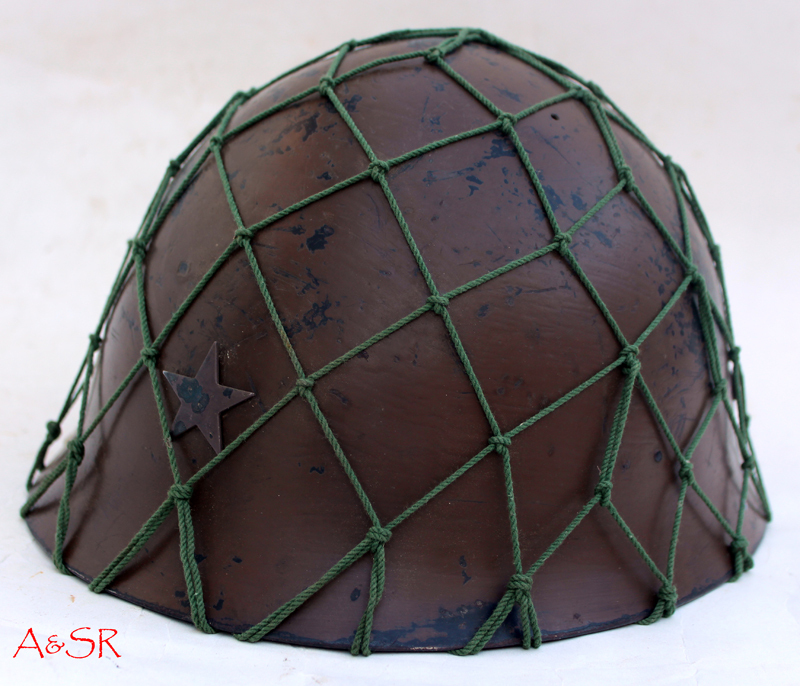 This is an original restored Japanese Type 90 helmet. 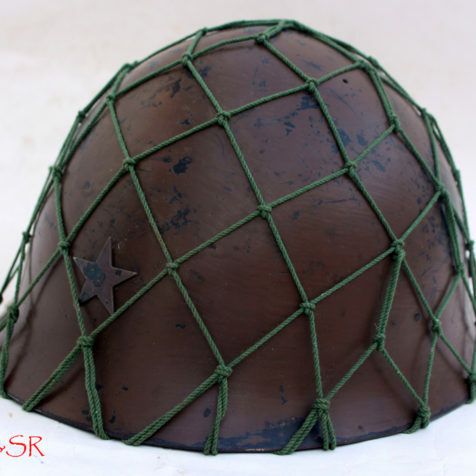 This helmet was pretty much the standard for the Japanese army of WWII. These were worn during the battle of Shanghai, Nanking, Guadalcanal, Burma, Iwo Jima and pretty much everywhere else. 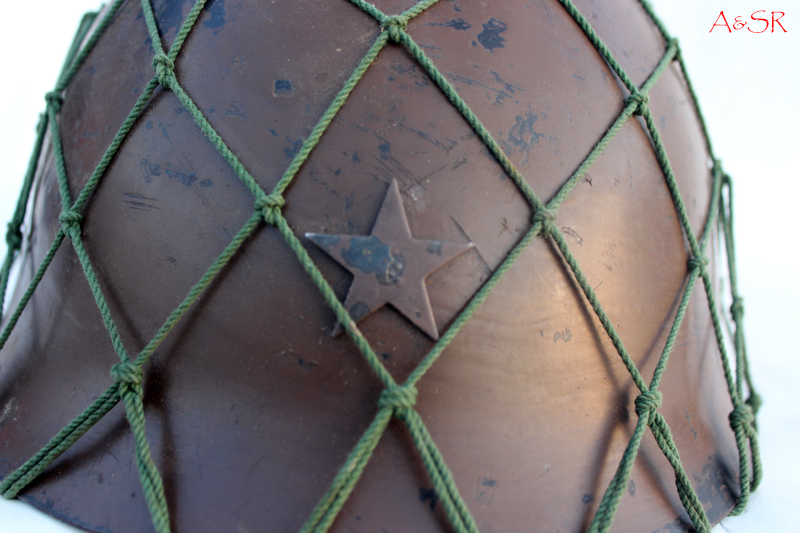 This helmet is stamp on the skirt with an S inside of a diamond indicating it was made by Seiko of Kobe. The shell is a large (59 cm), which is the biggest size the Japanese produced. The skirt was stamped with the Japanese character for large, it was also rendered again in white paint as was the practice. 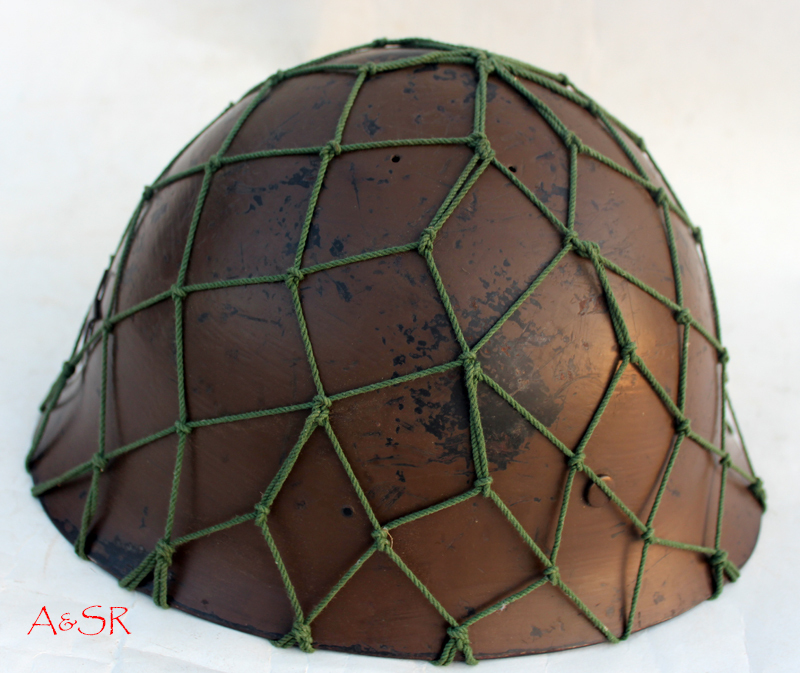 The helmet was stripped of all post-war paint then the steel was given a chemical black finish, as was the Japanese method. 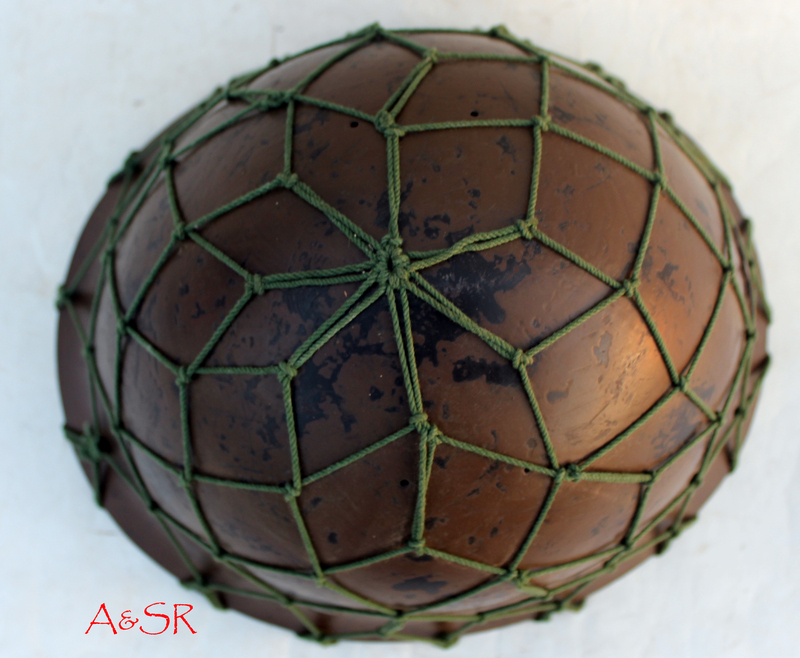 The helmet was then hand painted with a cost of Japanese clay brown paint. 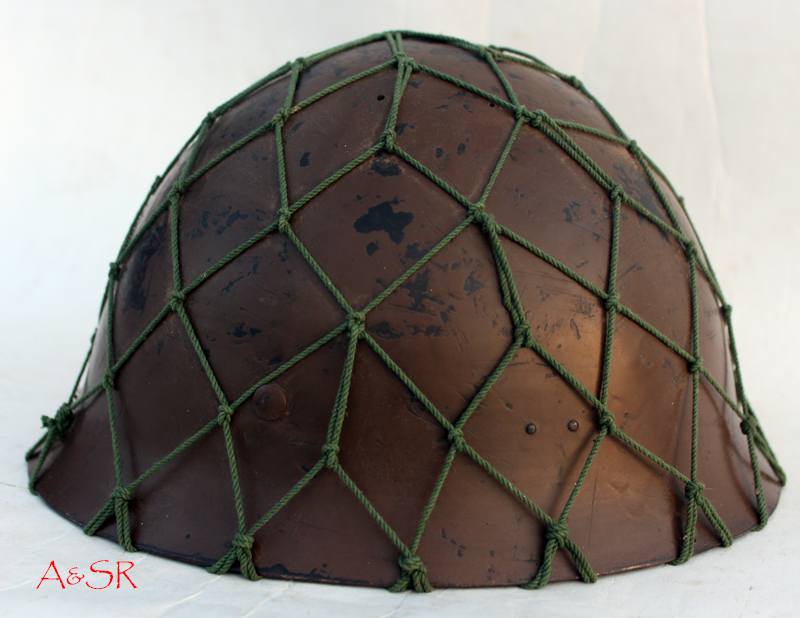 The helmet was then fit with a correct pig skin liner, samurai style cloth chinstrap, army star and foliage net. The chinstrap rings are original and matched to the helmet. The helmet was then heavily aged to give the look and feel of an original. The net and chinstrap have faded from salt damage. The pig skin has darkened from heavily sweating as would be expected in the South Pacific. 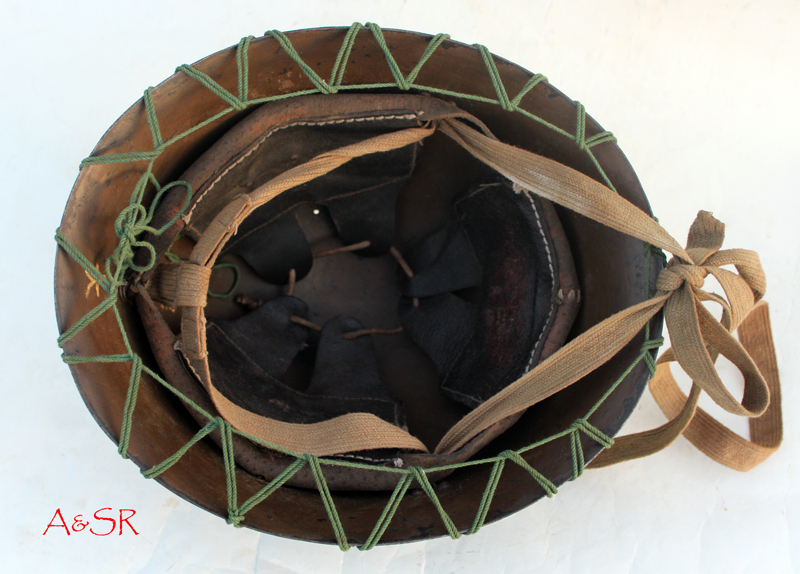 The liner pads and band sag down in the helmet as is seen in most originals. The finish shows typical campaigning damage as would be expected.